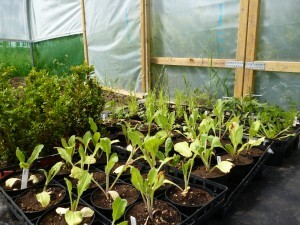 Plants can be expensive, especially when you’ve got a 54 foot polytunnel to fill. Growing from seed is one cost effective way to build up your plant stock but for some plants this may require careful manipulation of the environment or just isn’t practical because of the difficulties in avoiding or breaking seed dormancy. Other down sides of growing from seed are the time it takes for your new plant to reach maturity and the inevitable variability of the plants. 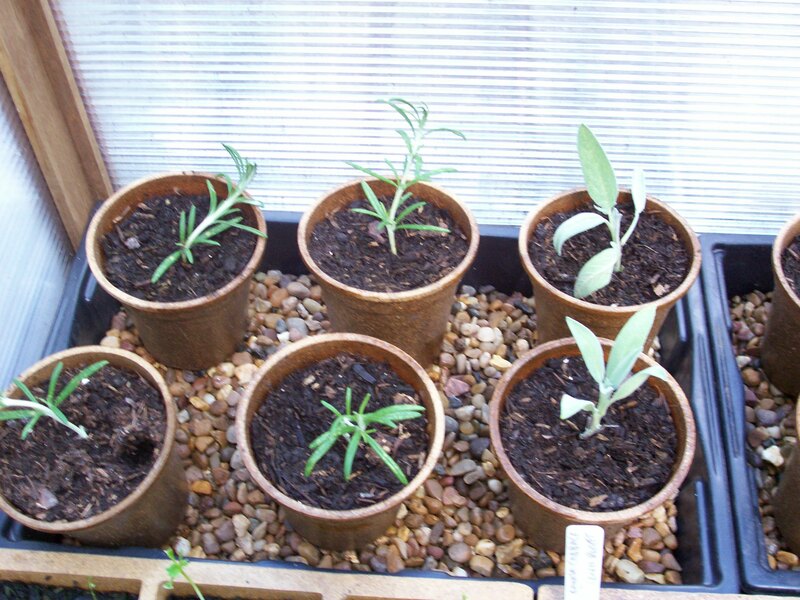 An alternative way to propagate plants is by taking cuttings. 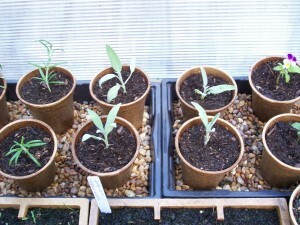 Plants taken from cuttings will always be the same as the parent plant and you will have bigger plants sooner. Cuttings are described as softwood, semi ripe or hardwood. This refers to the age of the cutting material and therefore the timing of the cutting. 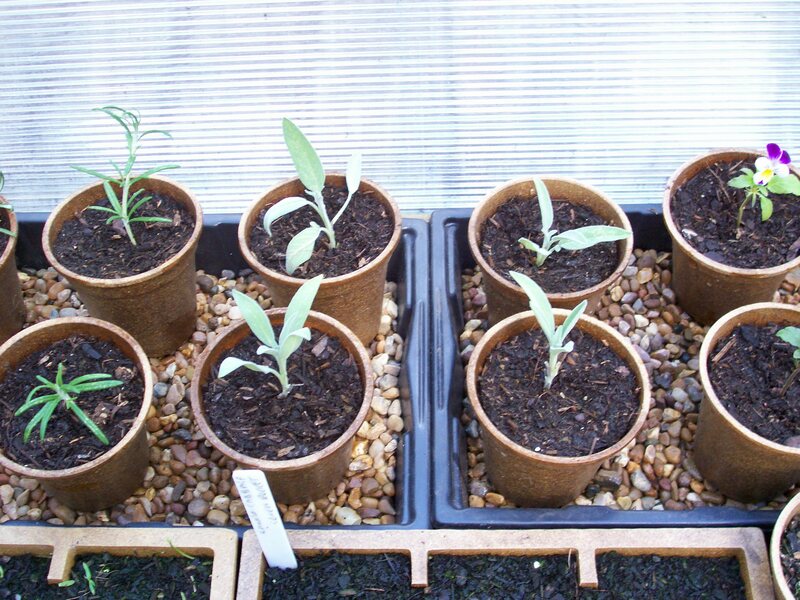 Softwood cuttings are taken from the tender new growth in Spring/early Summer. 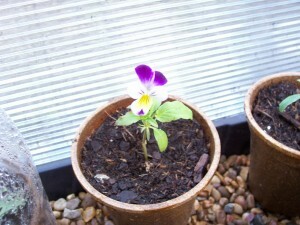 Of all the cutting types they are the most likely to root and therefore be sucessful. However, the downside of using such new growth is its relative fragility. Semi-ripe cuttings, as the name suggests, are taken a little later in the year. 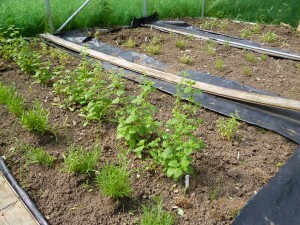 Cuttings are taken from the current years growth from late Summer to early Autumn. Hardwood cuttings are again taken from this years growth but in mid Autumn to late Winter. The RHS has some easy to follow guides if you fancy having a go with cuttings. Over the past few weeks I’ve been taking cuttings of all the herbs that we’re growing in the polytunnel as well as some of our native hedging plants. Most seem to have been successfulm apart from a few that I took on a really hot day. 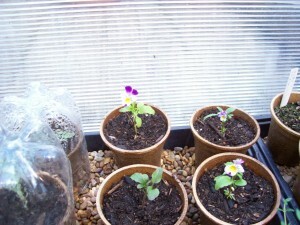 I didn’t mist the cuttings with water enough and in the heat they wilted quite badly. It wasn’t a complete loss though as some, especially the Box, seem to have survived. So far I’ve taken the following cuttings. Sage, Rosemary, Thyme, Bergamot, Lemon Balm, Lemon Verbena, Mint, Box, Willow and Dogwood. As well as growing herbs to flavour our sausages we’ve also been experimenting with herbs for herbal teas and with growing selections of herbs in planters. 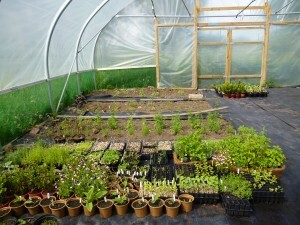 Here are some pictures from the polytunnel. The weather was a quite mixed this weekend with Sunday being a bit wet and cold. However, Saturday was a perfect spring day and after an early morning ride I spent the day tidying up the garden. Now is the perfect time for a bit of rose pruning and clearing away all the debris left from the winter. Fortunately all of my potted plants seem to have survived the frosts. The bay trees have a little bit of frost damage on the ends of the leaves as do some of the less hardy ferns in the fernery but there’s no major casulaties, one of the benfits of gardening with mainly hardy native plants. 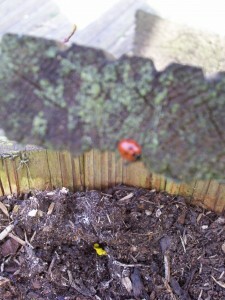 I spotted the first of the ladybirds hopefully getting ready to repel any aphids attracted to the lush spring growth. Apparently each ladybird can eat up to 5000 aphids ! 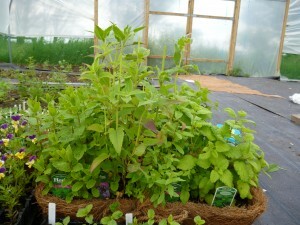 A lack of space meant I had to plant out my herb cuttings that I took last August. They’ve been protected in the cold frame over the winter and I’m pleased to say i’ve had a 100% success rate. All of them had good root growth and seem nice and healthy. 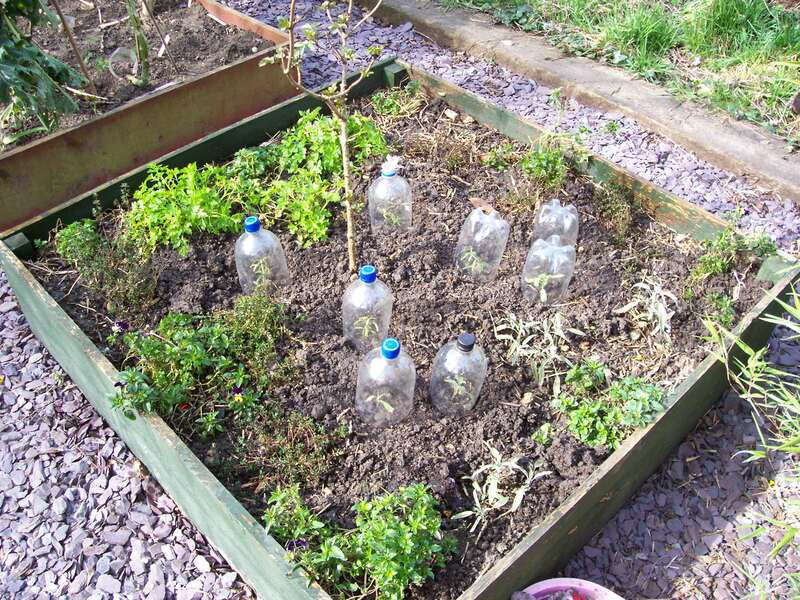 I am a bit worried about late frosts so I’ve made sure they are all protected by some homemade cloches. These also stop cats and foxes from trampling them. My final job on Saturday was to give everything a good feed of seaweed. Apart from the excellent nutritional content for plants I’ve also discovered that a good sprinkling of liquid seaweed is a handy deterrent for cats. I think it’s the smell, we have a cat and our next door neighbour has three but none of them use my raised beds as a toilet if I’m using the liquid seaweed. 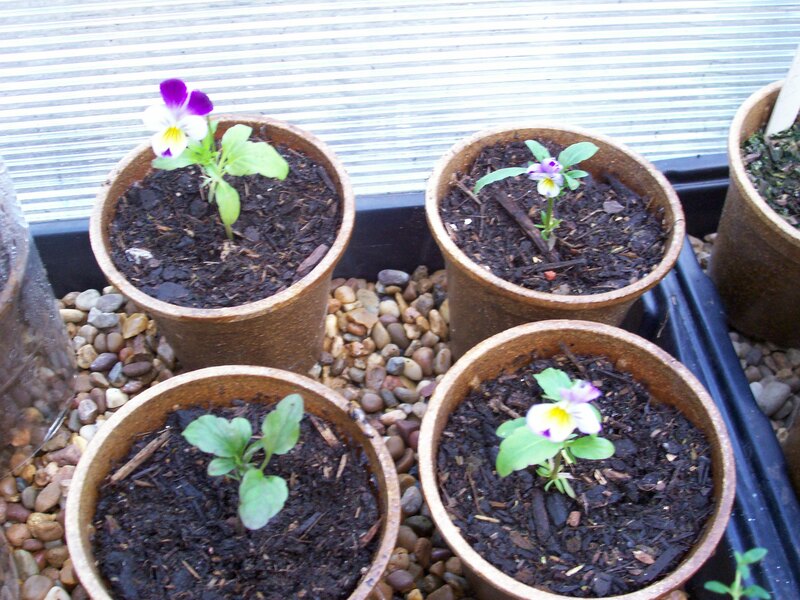 It’s been three weeks since I took cuttings from my rosemary,sage and wild pansies and so far they seem to be doing quite well. The home made propagators seem to be doing their job at maintaining a suitable micro climate. For the first week some of the rosemary was looking a bit floppy but it soon perked up. 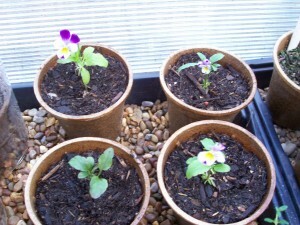 The wild pansies have even flowered, hopefully this isn’t a last flourish before they die off. 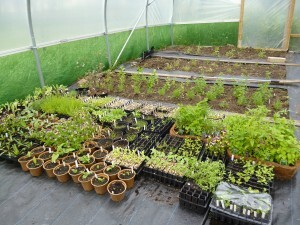 I still have to get them through the winter but fingers crossed I’ll have lots of new plants ready for my herb garden. Here are some pictures.